“Thoughts on Education Abroad” is a monthly column written for CAPA World by Dr. Michael Woolf, Deputy President for Strategic Development at CAPA The Global Education Network. He will be exploring a variety of topics on the general theme of international education. December 2017: Does God Like Christmas? July 2017: The Length of Study Abroad: Does it Matter? May 2015: Has Anybody Seen the Environment? February 2015: Don't Lecture Me! November 2014: What Does Experiential Education Mean? January 2014: Going Home for Christmas and Other Fantasies: A New Year’s Resolution? 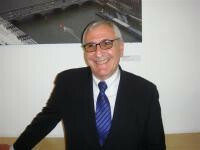 March 2013: Can Less Government Funding Mean More Internationalization?